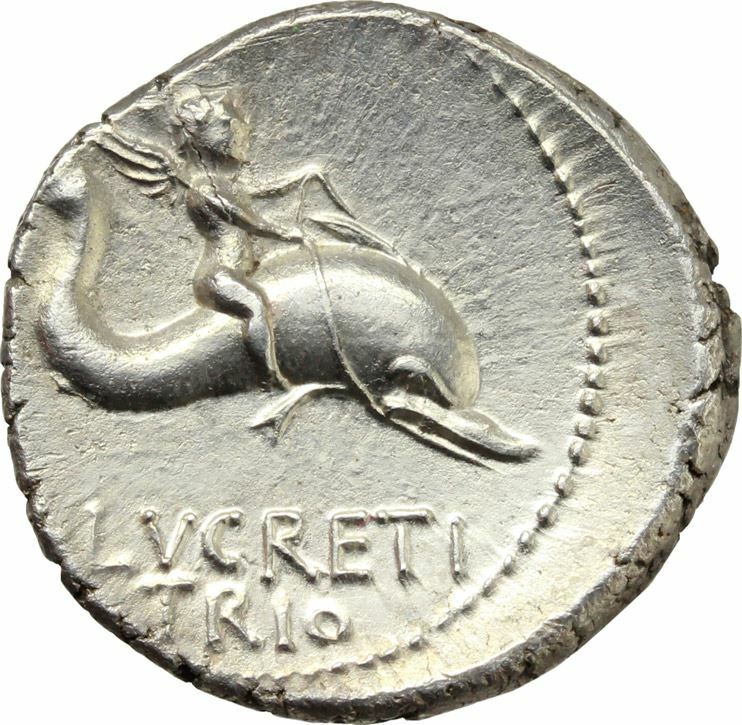 Lucius Lucretius Trio was one of the moneyers for the year 76 BC. He is not otherwise known. One of his coins shows the laureate head of Neptune with a dolphin reverse, the other a radiate Sol and a crescent moon and seven stars on reverse. The stars are the Septem Triones (Ursa major), a pun of the moneyer cognomen. The Lucretii were one of the most ancient gentes, and the wife of Numa Pompilius, the second King of Rome, was named Lucretia. The first of the Lucretii to obtain the consulship was Spurius Lucretius Tricipitinus in 509 BC, the first year of the Republic.